The master bedroom is one of the most important rooms within the home. It is considered the main bedroom and the sanctuary for the homeowners. It’s usually the biggest bedroom and might also have extra features such as attached bathrooms and His and Her closet spaces. 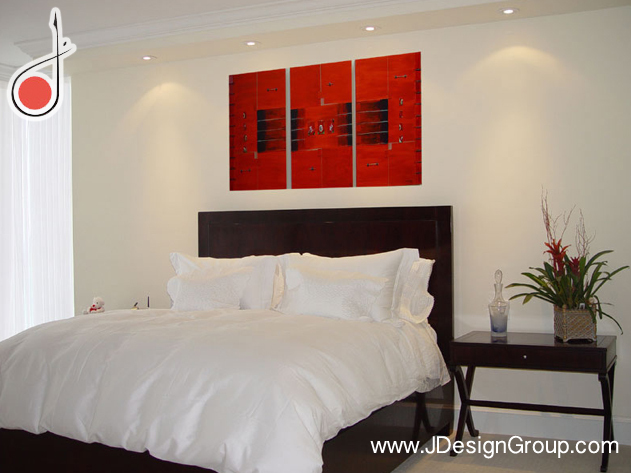 Since this is such an important room in the home, the décor and design of the master bedroom is also very important. Due to the significance of this space in the home, design elements are key to turning this room into a special space that you can enjoy for some time to come. You may want to work with a professional design team to discuss your likes and dislikes and plan the room accordingly. Color- What colors do you like? What colors make you feel relaxed? A designer can help you choose the right color schemes for your master bedroom. Just because you like a color doesn’t mean it will be the best choice for a relaxing environment. The walls and ceiling need to be painted in colors that flow with the rest of the room and also create a relaxing environment you can sleep in every day. Patterns and designs- The patterns and designs that are used in your master bedroom design are also very important to the overall theme of the room. Patterns and designs go along with your colors and pull it all together. You can create a luxury master bedroom that fulfills your imagination. Furniture choices- Your choices of furniture are very important in the master bedroom space. You don’t want to have a crowded room with furniture that is too big for the space you have to place it in. Everything from the bed and dresser, to lamps, pictures, mementos and more add up to the big picture of your room design. Window treatments- No matter what style and sizes of windows you have, they can make a huge difference in the overall feel of the room. Your choice of window treatments add to this effect. Whether you have blinds or shades, drapes or curtains, you will get what you want and what you need. From aesthetics to practical need, your window treatments do it all. A professional designer can work with you to bring all of these elements together perfectly. With these interior design tips, you can have the dream bedroom you’ve always wanted. Whether it’s a new home or a makeover to your existing room, you can benefit from professional master bedroom design and décor. Transform your bedroom into a paradise at home. Do you have questions about master bedroom design tips? 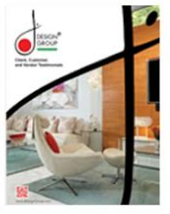 Our qualified interior designers are here to help.